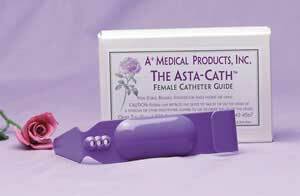 Categories: Best Sellers, Female, Intermittent Self Catheterization (ISC), Self Catheterization Aids. and feel confident to use the bathroom everywhere you are. 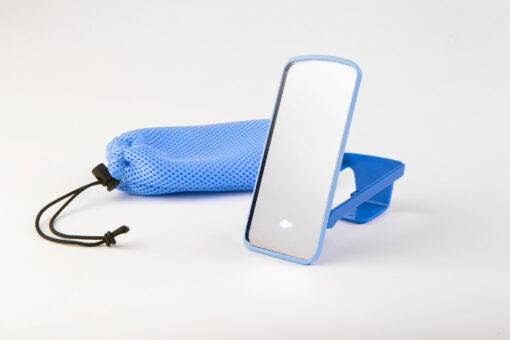 Bright is a compact self-standing mirror with a light, which helps ladies with self-catheterization. Inserting an intermittent catheter can be tricky. 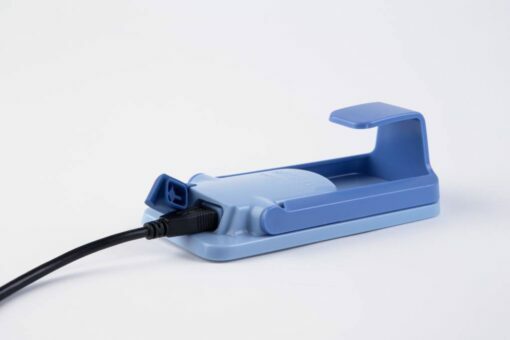 Bright mirror strives to make self-catheterization as easy as possible; the Bright mirror provides you with a better view and free-hands during the process. The light switches on automatically when it is opened. Bright is designed to mount on the toilet seat or stand freely. Due to its compact design and protective cover, you can easily take it with you wherever there is privacy. 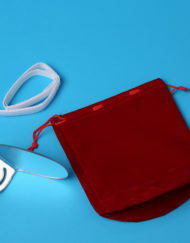 Bright mirror comes with a padded carrying case and USB charging cable. No batteries required. 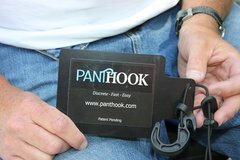 -Compact and east to carry in purse or backpack. -Universal use on toilet seat or Self Standing for other self-cathing situations. -Rechargeable Bright LED Light. No batteries needed, ever!